May 2, 2012- Memphis, TN- Glankler Brown, PLLC is proud to announce that William R. Bradley, Jr., Oscar C. Carr, III, Charles W. Hill, Robert L. Hutton and Arnold E. Perl are featured in Memphis Business Quarterly magazine’s “2012 Power Players” issue as top business leaders in their industry or area of practice. William R. Bradley, Jr., named in Entertainment Law, concentrates his practice in intellectual property, maintenance and litigation, anti-trust counseling and litigation, business litigation, and construction litigation. Mr. Bradley has extensive experience in the procurement, maintenance and enforcement of trademarks and copyrights. He also has considerable experience in the defense and prosecution of trade secrets and right-of-publicity claims. In the corporate intellectual arena, Mr. Bradley has counseled clients extensively in the area of intellectual property, licensing and the evaluation of intellectual property rights in connection with corporate transactions. He currently serves as Chief Manager of the firm. Mr. Carr, honored as a Business Litigation leader, concentrates his practice in litigation, with an emphasis on business, construction, environmental, and other civil litigation. He is listed in The Best Lawyers in America and in Mid-South Super Lawyers. He is also honored as a Fellow of the Litigation Counsel of America, a trial lawyer honorary society comprised of experienced and effective litigators throughout the United States. Charles W. Hill, honored in Employment Law, concentrates his practice in the areas of employment law, broker/dealer litigation, contracts and commercial litigation. He consults with employers concerning employment law decisions regarding their workforce, and provides advice and consultation concerning the purchase of employment practices liability insurance including addressing potential coverage issues. He is also experienced in creating social media policies and advising management on social media legal pitfalls and compliance issues. He is a Fellow of the American College of Trial Lawyers, and has been named to The Best Lawyers in America and SuperLawyers. He serves on the Board of Directors of the Greater Memphis Chamber. 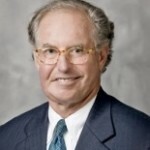 Robert L. Hutton, noted for Criminal Law, has substantial litigation experience. His credentials include having argued several cases before the United States Court of Appeals, the Tennessee Appellate Courts and the Tennessee Supreme Court. Mr. Hutton is privileged to be one of the few attorneys to have argued a case before the United States Supreme Court. Mr. Hutton serves as a member of the Board of Directors and officer of Chuck Hutton Chevrolet Co., and as general counsel for the Chuck Hutton Companies. He also serves as Chairman of the John Buckman Charitable Trust. Arnold E. Perl, honored in the Business Organizations category, concentrates his practice in the areas of labor law and advocacy before the U.S. Court of Appeals, with extensive experience counseling organizations on remaining union free. He also focuses on arbitration and management training, offering a dynamic leadership development program for all levels of management. He has successfully argued cases before the United States Court of Appeals, and is admitted to practice before the United States Supreme Court. Mr. Perl serves as Chairman of the Memphis-Shelby County Airport Authority, directing the decisions of Memphis International Airport, known as “America’s Aerotropolis,” a world-class facility serving more than 10 million passengers a year. 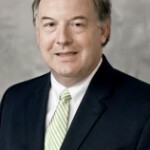 He is Secretary and General Counsel of the Memphis Regional Chamber and Chairs its Regional Logistics Council. Mr. Perl also serves as Chairman Emeritus, Japan-America Society of Tennessee and Chairman Emeritus (Co-Chair) Southeast US/Japan Association. The MBQ Players” is an annual feature that highlights the city’s movers and shakers. The editorial board consists of MBQ staff, informed business leaders, and fellow attorneys.